A new report reveals that alongside the V40 Thinq smartphone, LG will be launching its W7 smartwatch tomorrow (3rd of October). The W7 will come with a special trick up its sleeve, which LG is hoping will tempt customers away from the recently released Samsung Galaxy Watch. 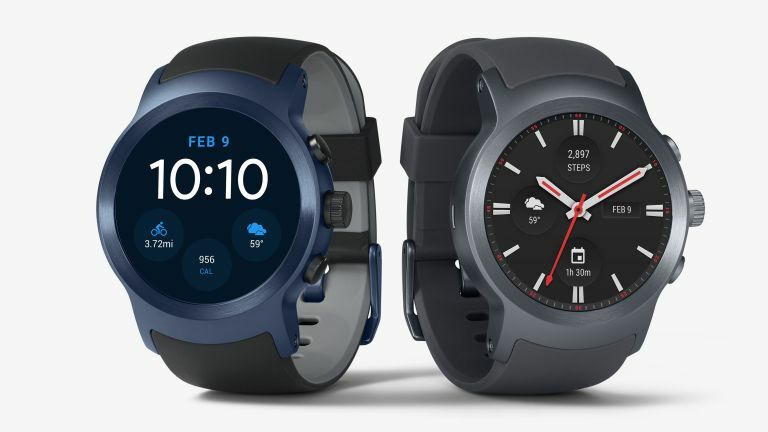 Yes, if rumours are to be believed, the LG W7 smartwatch won't be a regular Wear OS watch, it'll combine the mechanical hands of a mechanical watch with the digital display powered by Google's Wear OS. This this what the smartwatch market has been waiting for? This hybrid smartwatch was previously slated for launch back in April, but the device didn't appear and LG went quiet. Now, trusted leaker Evan Blass states the wearable will be called the LG Watch W7 and launch alongside the V40 tomorrow. Details of the watch have also leaked, so we can expect a display with a pixel density of 300 ppi, dimensions (45.5 x 45.4 x 12.9mm), and a 1.2-inch screen size. The most interesting revelation is a claimed 100 days battery life. This is with all of the smart capabilities turned off – so it's essentially just a watch.. The report also claims that the smartwatch will also come in a Plus model, and will be available with both silicone and metal straps as well as a second charging cradle. We're still unsure how much the LG Watch W7 will cost and how widely it'll be available – stay tuned to T3 for more details.